Enjoy some unique bellydancing performances and live middle eastern music while you sip on your beers. If you've got the moves yourself, you can even sign up to perform! 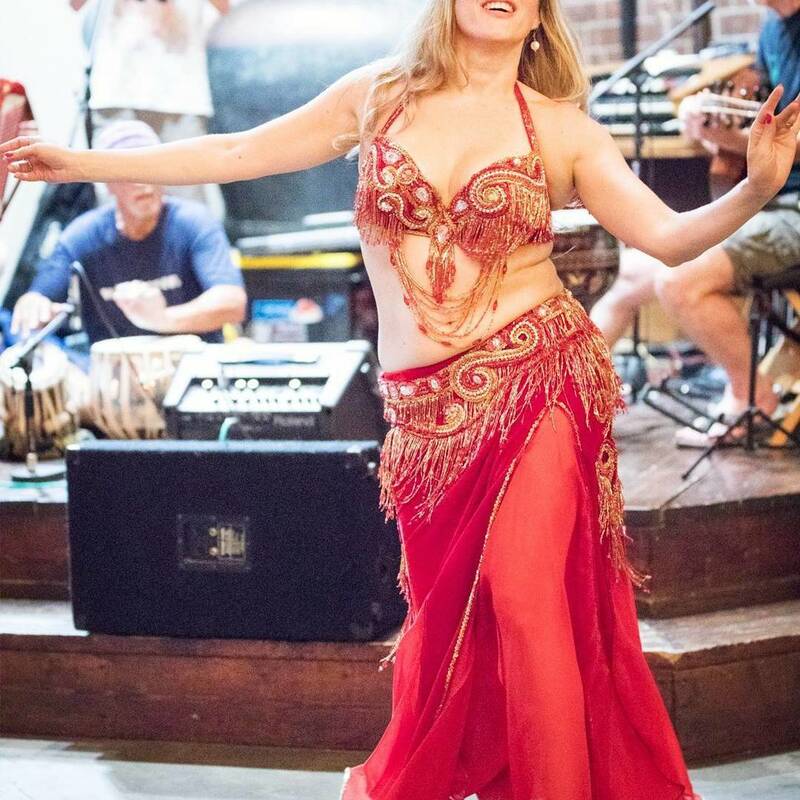 "Live Middle Eastern Music by the Lost Nomads and performances by local Bellydance students and performers! In order to have a successful show, that is professional and has a nice flow, there are only 4 acceptable Music formats: CD, MP3 player, Ipod, Phone. **NO STREAMING MUSIC IS ALLOWED. NO TABLETS OR IPADS. ~ If you plan to perform, you need to arrive and sign up before 8 pm and have your music ready. ~ There will only be 8 performance slots available for each set. Once all slots have been filled, the show is full. When you sign up, that will be the order. ~ Please be respectful: Solo performers have 4 minutes max and groups 5 minutes max. If your song is longer, the sound guy will fade out your music to end. ~ Try to schedule yourself adjacent to someone with a different style to add some variety to the show. ~ You can dance to live or recorded music. All dancers dancing to live music will be placed in the 2nd set. All live music will perform prior to any recorded music in the 2nd set. ~ CD - Cd's are preferred. Your performance song needs to be the only song on the CD, in Audio format only, and clearly marked. **Always check to make sure your CD works by testing it in your car and your stereo. ~ MP3 player/Ipod/Phone: Your song needs to be in a separate folder, easy to access, and ready to play. If your phone does not have a regular audio jack for a headphone, you must provide a dongle that allows a headphone jack to be plugged in. If it has a password, please add a sticky note with the password so that our sound guy can open it easily. ~ NO STREAMING MUSIC IS ALLOWED. When music is streaming it can cut out because it is buffering and causes a lapse in your music. ~ NO Tablets, Ipads, or any other device not listed above."